LAS VEGAS – Lights, Llamas, Action! It was along those lines that Dolly and Dotty, the two Llama mascots of Las Vegas Lights FC, took the spotlight from the players and coaches in the middle of the first USL Championship game for the team in 2018. The man behind the unorthodox but smart move that successfully put the club on the front pages following its debut is Steve Pastorino, Vice President of Corporate Partnerships for Lights FC. Under his lead, the club was able to establish an unparalleled partnership with Zappos, the original creator of the two Llama mascots. Sure, by default, Las Vegas offers the space to go above and beyond the norm. Beyond the bright neon lights, however, there’s the reflection of Pastorino’s devotion to building a club that truly speaks to the grandiose nature of Las Vegas. An example is the club’s most recent partnership, which broke the duopoly Coca-Cola Company and PepsiCo have had on sports venues in the United States for a century. 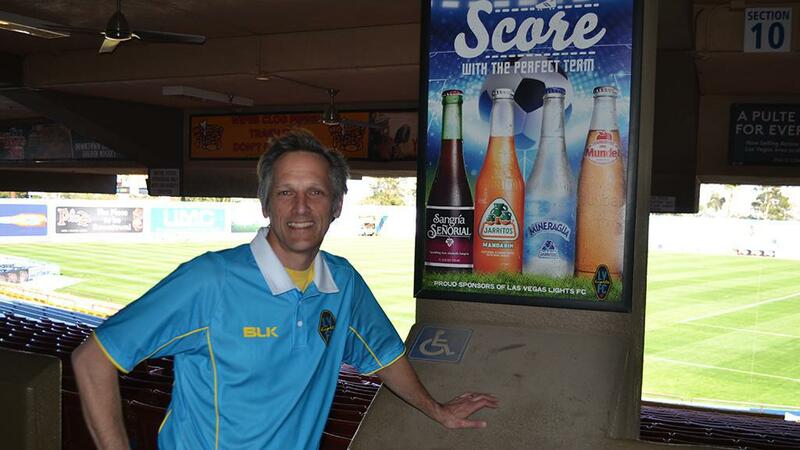 Jarritos, a Mexico-originated soda that is a leading seller in both Mexico and the U.S. and is also available in 30 countries around the world is the official and exclusive soda partner of Lights FC. In a highly competitive market of sports, Pastorino has made a hat trick of his own. While it’s a dream of many in the sport industry to launch and build a team, Pastorino has done it three times already. At a young age, Pastorino helped launch Major League Soccer’s Chicago Fire from a start-up to an established club in the English-, Spanish-, and Polish-speaking communities in the city. As the first front office employee in Real Salt Lake’s history, he paved the way as General Manager. To add to the list, he served as the General Manager and Executive Director for U.S.A Team Handball. And while the saying goes what happens in Vegas, stays in Vegas, that’s not usually the case according to the 42 million people that visit the city every year in hopes of taking away experiences. The club has welcomed an average of more than 9,000 fans to its first two games of the season in 2019, with Lights FC aiming to put on a show each time it welcomes fans to Cashman Field. And just when the fans may think they’ve had the ultimate experience, it’s lights on, a helicopter coming through. Just as Lights FC did a season ago, during the 2019 USL Championship season Las Vegas’ fans will not only witness a $5,000 money drop from a helicopter, but also have the chance to win it. The big difference this year? Lights FC and Pastorino have a presenting partner in the Plaza Hotel and Casino for the event scheduled for the game on September 7 against El Paso Locomotive FC. Effectively, what proved too outlandish for a partner to attach its name to last season has ended up becoming part of the attraction to working with Lights FC. 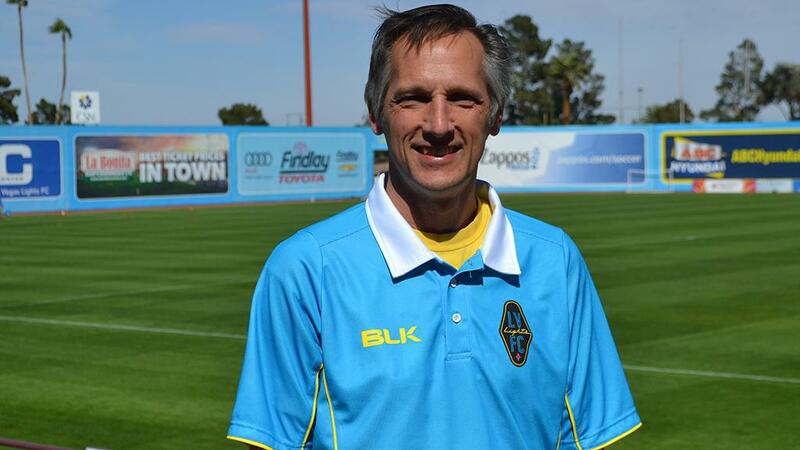 But while there’s certainly plenty of showmanship that might get people through the gates at Cashman Field, what Pastorino hopes people take away from the Lights FC gameday experience as well as a good game on the field are the things that make any social activity enjoyable. With Pastorino’s drive firing the club’s momentum in its local market, Lights FC fans have plenty to look forward to on and off the field in the 2019 USL Championship season.